The quality of the materials ad workmanship was fine. The color of the actual frame was significantly different then the photos on the website. To accomplish the look we needed for the object to be framed, we had to paint the frame. The website frame was much more of a copper color which is what we wanted. Hello Thomas. We appreciate you taking time to write a review on the 444BRZ Frame. We hope to provide an image of the frame that will be a true representation of how the frame appears. In the event that you place a new order with us, please order a free sample of the frame before making a purchase. We apologize for any inconvenience. If you would like to return the frame you have, please give us a call at 1-800-322-8884. Thank you for your feedback. 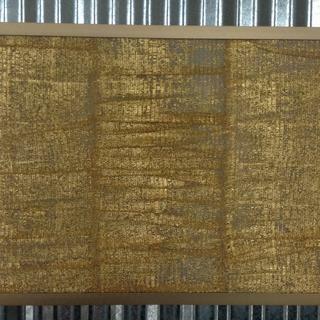 I work with karat gold leaf and need to frame my work with a suitable non distractive frame. These bronze colored frames work great , a warning the color looks much darker in the brochoure and is more like a dark gold color. Looks nice and bronze color on website was true enough. Not many vendors have wider metal frames so this was perfect for my 40"x24" picture. Glass, foamboard, and prints JUST fit inside the 1/2" rabbet so no spring clips were necessary. I hope it all holds together! Hello Nathan! Thank you for your feedback. We regret that the assembling of the frame was not as easy as we aimed for. We have instructional videos available to give you more guidance. Please give us a call in the future, and we are happy to email you the instructional video. We can be reached at 1-800-332-8884. Happy Framing! Nice frame, but not as represented. The frame quality is excellent and there is nothing wrong with it. But it is not at all what I thought I was ordering. I used the online service on pictureframes.com to upload my art and view it in the frame. That function showed a much brighter, almost polish copper frame, which was exactly what I was looking for. The actual frame is much darker and with a matte / duller finish. It is completely unflattering to the art for which I purchased it. I am sorry to hear you are having some trouble with your artwork displaying as anticipated. Frames will typically have about 1/4" of your art covered in order to hold it in the frame. If this is a stretched canvas I might suggest a canvas floater frame since they load from the front and would not have any covering your artwork. Please let us know if you would be interested in discussing some alternative solutions. Our number is 1-800-332-8884. I needed a simple modern frame and the color was perfect! The bronze frame perfectly matches the bronze tones in my print. 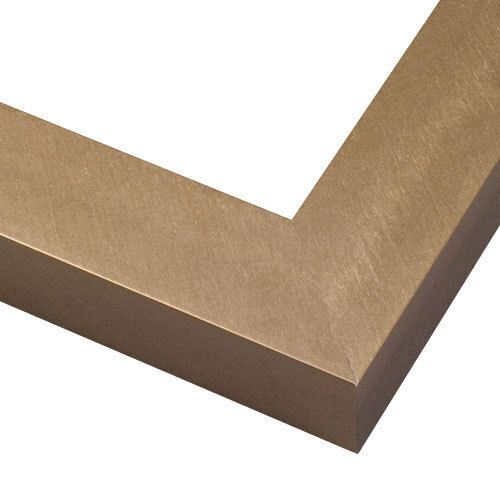 Can I purchase foamboard backing w/o acrylic? BEST ANSWER: Hi Gregory. You can certainly do so. This would need to be done by phone at 1-800-332-8884 with our framing experts. Thank you!